Sometimes the apple does fall far from the tree. Welcome to Armstrong Academy, Marco. @higherpower: Doesn't ring a bell. "Don't make me regret doing this for you," Trevor grumbled as he rose to his feet. "You guys better start moving, this thing is treating me like a ragdoll. Get to the Ocularium as soon as you can, hopefully you should be able to pick up Moose and Arthur along the way and send them back here. I told Moose to investigate the lunch room and the auditorium so you should run into him first, and I told Arthur to go the Ocularium anyway. If you don't see them, don't waste time searching, just help Brandon do whatever he needs to do to get us all out of here." Trevor gave his neck and knuckles a quick crack before racing back into the building to hold off the nurse. Isabelle is unable to communicate with Max, so unfortunately she’s going to have to do her own thing here. She is attempting to flank Nyra. 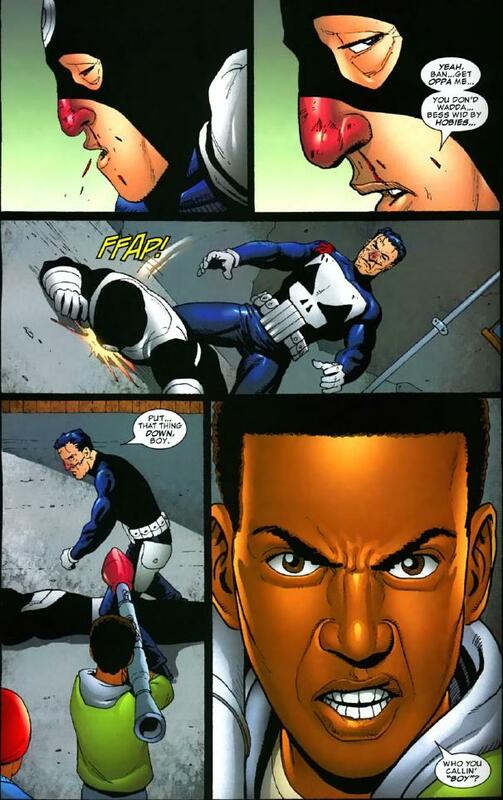 I have already provided evidence of the Punisher’s stealth capabilities and my ability to generate fields of silence. Currently my field is very small, only enveloping a small area around my body to make me soundless as I move. Max should likely keep her attention, making my job easier. For all she knows, the blast got Isabelle. Using cover (tables, chairs, desks, robots, exhibits, etc) Isabelle will try to go around and then attack from behind, where Nyra would not naturally expect an attack from. Since she cannot see Isabelle (she doesn’t have eyes in the back of her head) and she cannot hear Isabelle, it is going to be a tall order for her to detect Isabelle’s attack, particularly when Mileena has no remarkable sensory feats and Jury Rigg is lacking in any detection feats. While Isabelle is sneaking she will also be collecting throwable objects that are small, light, but easy to throw. Once Isabelle has creeped close enough she will wait for an opportune moment to strike. Once that moment arrives she will charge up the objects she has collected, and throw them at Nyra. Nyra should have no way of detecting the incoming objects as they are out of her line of sight and soundless. Isabelle’s charging ability is powerful enough that tossing a few objects simultaneously should be enough to knock Nyra out, or at least seriously wound her. From there Isabelle will move in closer. If Nyra still isn’t put down she can always toss a wide spray of the microprocessors she picked up earlier, making it very difficult for Nyra to dodge. Once Nyra is roughed up Isabelle will move in for the close-quarters takedown. 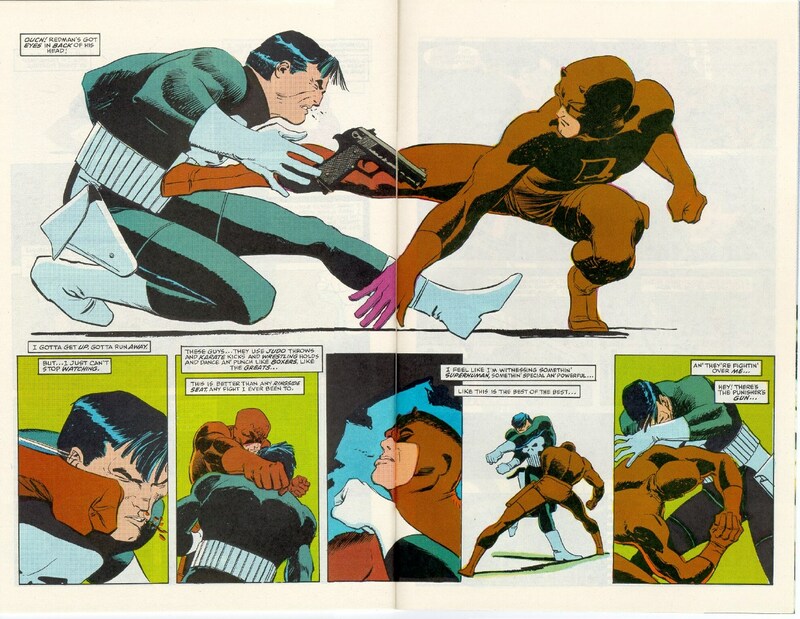 As we know Frank is a very skilled H2H fighter, much more skilled than Juryrigg, having held his own against some of Marvel’s best including Daredevil, Bucky Barnes, Black Widow, Wolverine, Deadpool, Bullseye, etc. 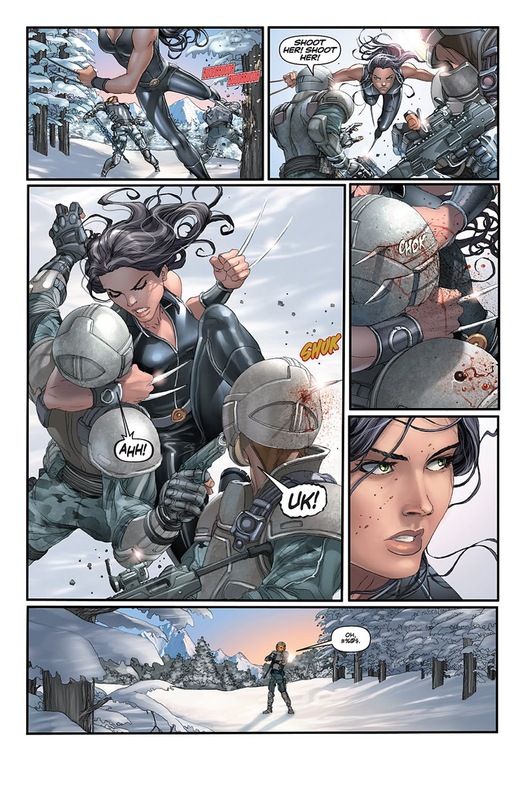 Physically X-23 is the same or better than Mileena in every way. During this entire time the silence field will be engaged, which will be completely disorienting for Nyra, but natural for Isabelle to fight in, not to mention the element of surprise and being rocked by explosions. Isabelle will try to resolve the situation without killing Nyra, but if she’s forced to she will. Once Nyra is taken care of Max and Isabelle can double-team the robot. We don’t know anything about it except that it is supposedly bigger and stronger than the original T-800s. It's possible taking out Nyra will stop the robot in its tracks, but assuming it doesn’t we should still be able to take it down without too much difficulty. It’s body is inorganic and T-800s are significantly slower than Isabelle. All she really has to do is charge a small segment of the robot, just a nut or bolt would be sufficient, and the machine would explode. Nyra is ill-equipped to counter Isabelle’s abilities and tactics. Her lack of detection feats/senses means that she will not detect Isabelle, who is a master of stealth with the ability to be completely soundless. This gives Isabelle a huge advantage with the element of surprise and what is effectively a free shot on Nyra. That free shot will not be wasted. 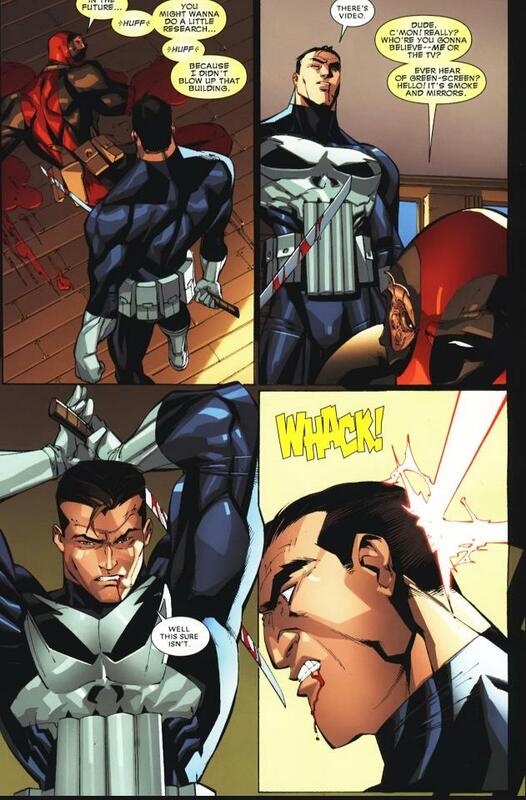 Rex Splode’s implants along with Punisher’s throwing skill means that improvised weapons are everywhere and they can silently dish out a lot of damage. Under normal circumstances, we would be pretty well-matched physically, but Nyra is going to take substantial damage before this comes down to close-quarters, meaning the advantage will be to Isabelle. This fact, coupled with the element of surprise, silence disorienting Nyra, Izzy’s vastly superior senses, and a substantial H2H skill advantage firmly puts the fight in Isabelle’s favor. 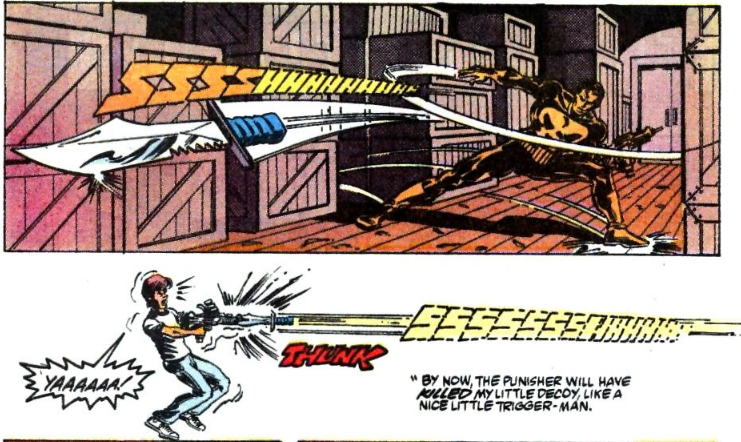 Karnak’s ability to sense weaknesses is neat, but not particularly effective in this fight where she is so greatly outclassed in just about every other way. The ability to see the weaknesses doesn’t give her the ability to exploit them against a superior opponent who is much more skilled in close-quarters combat. From there superior numbers, speed, and a power that hits hard at the opponent’s weakness will allow us to stop the robot if necessary. Note: Very little has been said about the robot companion and last we were told its focus was on Max, not Isabelle. Any assertion that it would be looking for Isabelle would be working on OOC knowledge that contradicts the stated course of action prior to the fight. In fact, Nyra herself never really focuses on Isabelle specifically. Of all her posts Isabelle is only referred to in the last one and only as a rat scurrying away from her. This lack of focus and the clear arrogance of Nyra’s character suggests that she certainly underestimates Isabelle and doesn’t regard her as a serious threat. This is greatly to Isabelle’s advantage, making it even more likely her plan of action will be successful. Speed - Dices up trained soldiers so fast they can’t react. Saga shivered at the sight of the bodyguards. She never got scared from horror movies like her friends but seeing them in real life was a different thing entirely. During their small time of rest Saga was able to calm down a bit. Luckily towards the end of it the chills stopped, her heartbeat began to return to normal, and she wrested control of her breathing again. 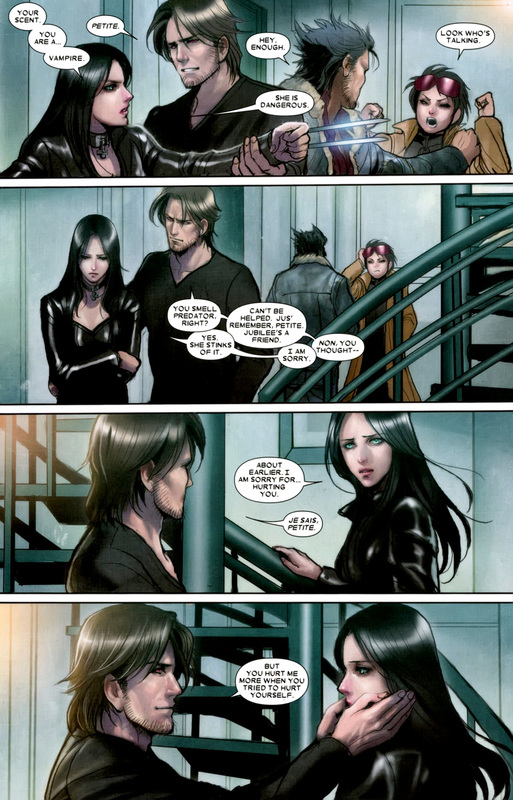 "I don't think I can take them, Barda. Are they zombies?" Saga asked. "I will distract them while you sneak in to deliver the final blow." 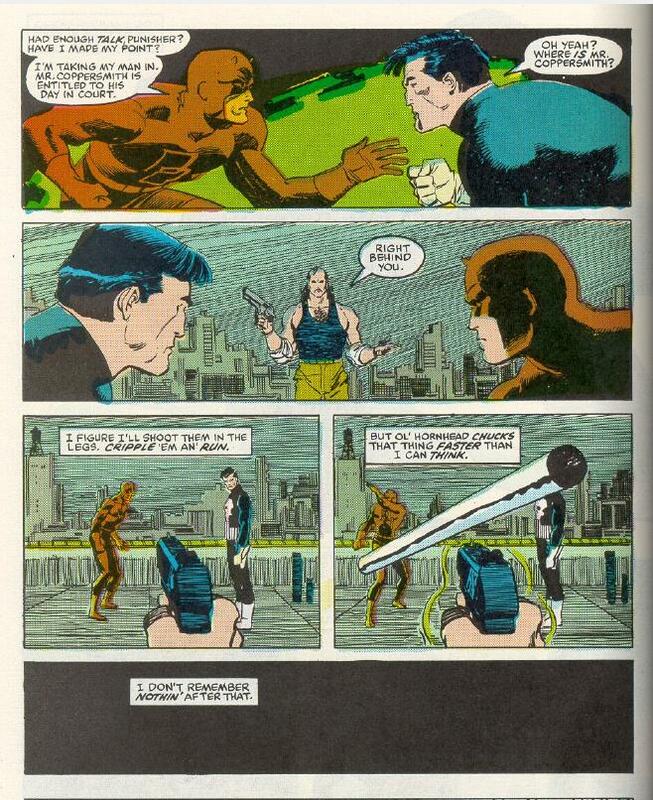 Barda kept an eye on the bodyguards and Hitler. She quickly sketched out a plan. It was simple, but they thought it would be their best chance at finishing it quickly with as little danger to the both of them as possible. Firstly Barda approached as closely as possible without getting caught. When she got into position she would start by conjuring some vines from the ground to attack the guards from underneath in a surprise attack. She would then continue with an assault of vines in a very chaotic manner sometimes aiming at the guards and other times aiming straight at Hitler either in an attempt to tag him or hit a guard who would use their bodies as shields. The vines' speed combined with their area of effect kept Hitler and the guards on the backpedal. At any time one of them gets caught, they would get torn apart by the vines with a strength that could crush stone. In case of them seizing an opportunity to go on the offensive, she and her vines could easily react to their teleporting. Barda threw down her smoke grenade around Hitler as a signal for the last part of the plan. 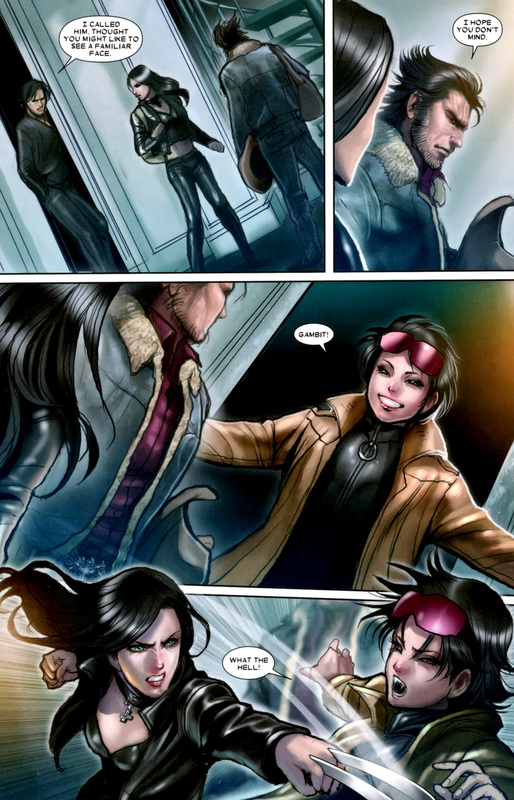 A few seconds after Barda started her attack, Saga jumped into the fray. Fearing her indecisiveness would simply lead to trouble, she had done her best to empty her mind, so that when she began stealthily dashing toward Hitler, she did so purely on instinct without a thought to imbalance her skills. The smoke grenade did not hinder her at at all nor did it Barda; on the other hand, Hitler should have immense trouble adapting to this. After waiting for the right moment to strike, Saga should be able to get close enough to Hitler that by time any of them detect her, it is too late(1,2). Barda is going to attack from the front while Saga taps the backdoor. Barda's plant manipulation and reflexes should be more than enough to hold all of them for a few moments which is more than enough for Saga to act. 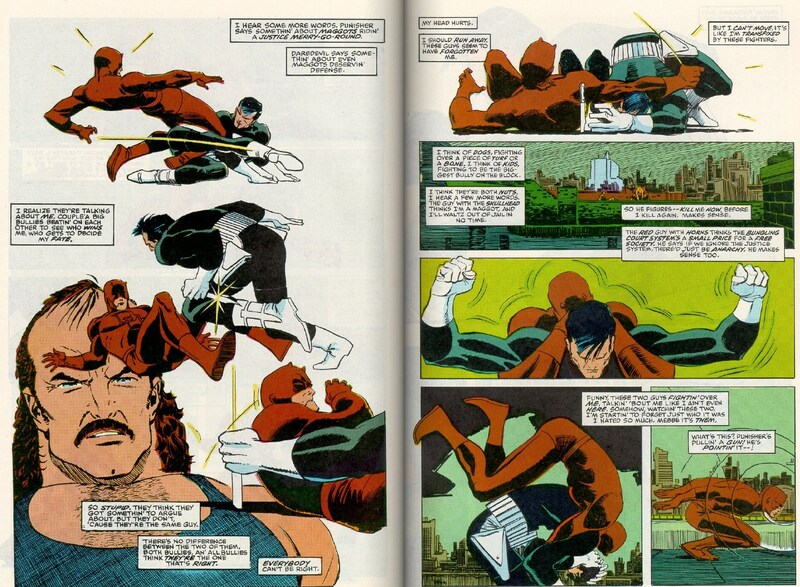 Saga with Elektra's skills can out-stealth Daredevil, so getting into range should not be a problem. 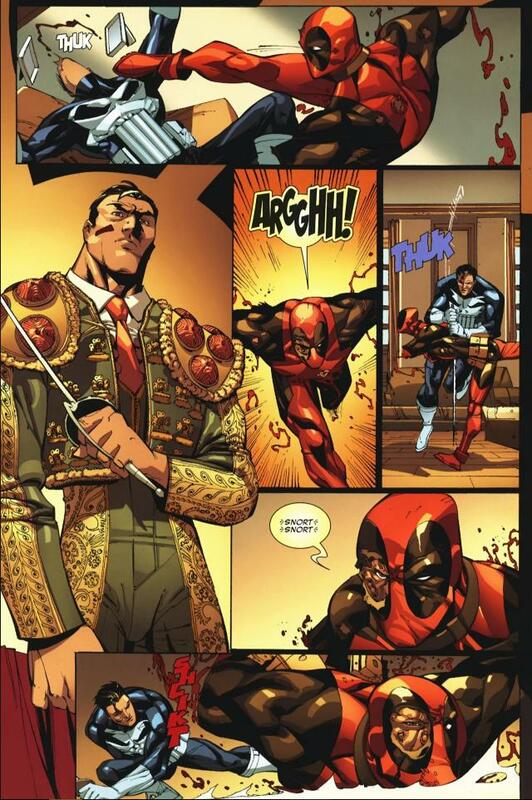 Hitler/Ultimate Red Skull himself has none of Iron Fist's senses and little of his skills either. 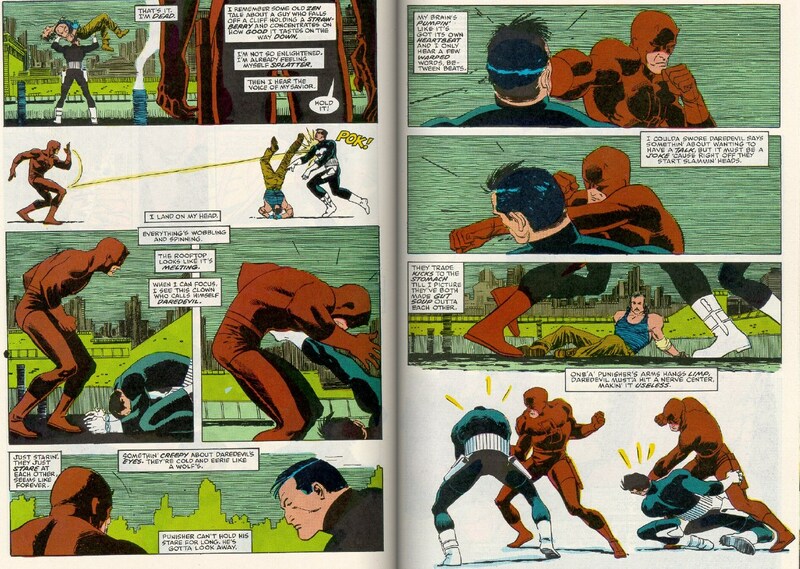 With the advantage of stealth Saga should be able to get at least one hit in at first like Elektra did against IF. The teleporters will be too distracted by Barda and with the level of stealth Saga has, none of them will be able to react fast enough to stop her from hitting Hitler at the opportune moment with only Batman level senses. Overall Saga and Barda have the initiative in this fight which will constantly keep their targets guessing allowing Saga to pick just the right moment to attack. @thetruebarryallen: I'm ready to get back into this could you catch me up on what post to read. That would be much appreciated. Advancement Seven, on page 10. The group you're with is hiding from a group of students from the Kilgrave Institute, a school for villains, as they just killed one of your group (player who dropped) but are unaware where the rest of you are. I'll keep it relatively short. I'll save RP for after the results. So to make my case, I would like to say that Nyra will likely lose to Isabelle however, she will take down Max. So as it stands, Max in under heavy pressure from the rain of explosives and will only be under more pressure when the bot starts firing. The thing is, Max has some pretty cool super-math skills but the problem with the feats that Seagod would likely present is that Sento has hardly ever shown to be able to do heavy calculations mid-battle and under this much stress. And due to the firepower of the newly created weapon and the bot's lasers and the fact that the projectiles will be coming at different angles, Max would go down pretty quickly. As for the ambush, the initial attack would damage Nyra but it won't be too much. 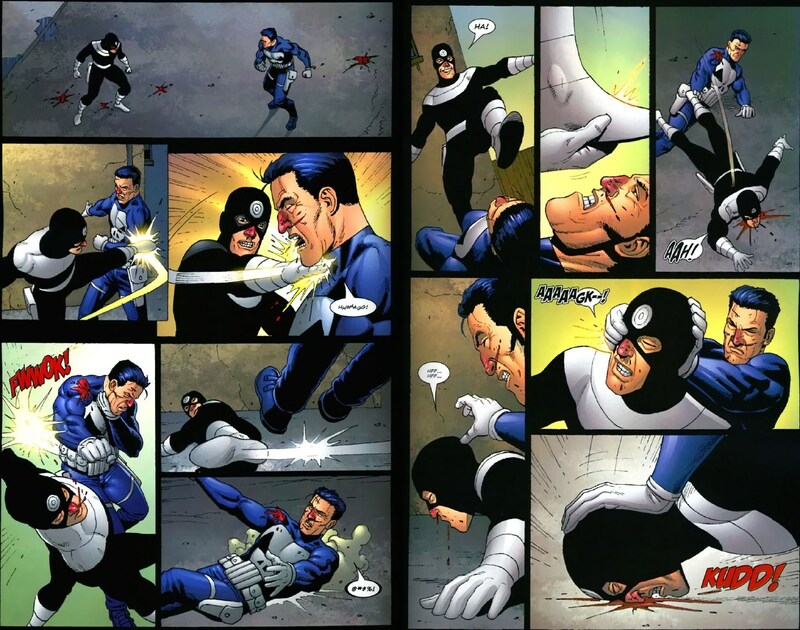 MK characters are able to trade blows that can destroy steel anvils. And we know that Mileena, in particular, is one of the more durable ones as she was able to continue fighting after the Kombatant KO'd several other characters (1)(2). 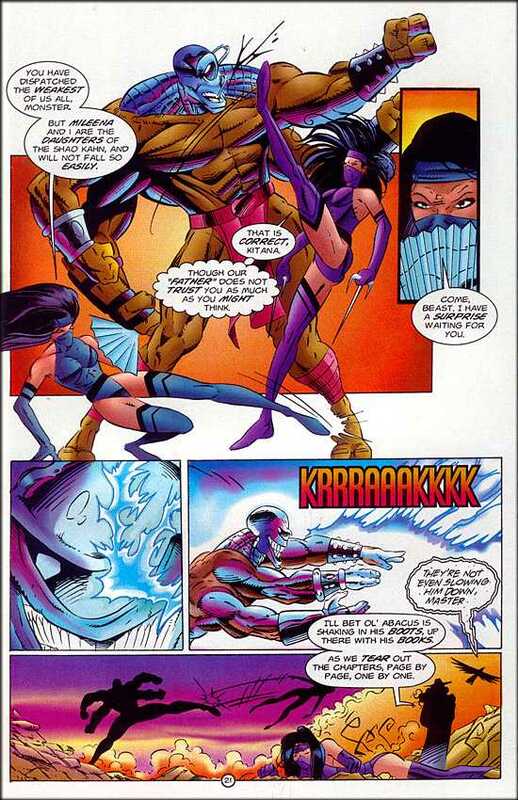 Furthermore, with her armor, she would further nullify the damage seeing as how the armor not only gives extra protection but also a potent healing factor. Now, again, while Nyra would ultimately lose this fight, she won't go down easy and Max had more than likely gone down first. ...everything is chaotic, but the first day of classes are coming to a close. The scenario will be operating differently after this closing, as some of the stuff that I had planned conceptually didn't really work out here. So missions will work differently, but, I don't want everything you've done here to go to waste. So, without further adieu, the end of the first day of classes. The player controlled students in the A&P class have failed to participate/post leading to their demise. Both Addie and George were lost inside their respective creatures. Addie went down fighting to protect Christopher and George died allowing Sid and AJ to escape. Arabelle XZ was occupied fighting creatures that were designed to defeat her in combat; however, with the aid of K'Graak, who was passing through the science wing on his way back from the infirmary, she defeated them and was able to extract the remaining students from the creatures they were trapped inside. While hunting down the failed experiments of Charles Darwin the group experienced an encounter with Darwin himself; now a monstrosity, the outcome of science gone wrong. Darwin attacked the group and wounded several of them, but with the help of Hugo Klein, the professor of Biology, they were able to defeat Darwin. Unfortunately Ryan Colt sustained some life threatening injuries and has been sent home on medical leave; wanting to resign from the academy for the foreseeable future. You begin destroying the laboratory, killing the creatures inside the tubes, the incomplete experiments writhing on the floor before you. The destruction causes some of the machinery to malfunction and ignite, which in turn, results in an alarm to begin sounding as blast doors come down in front of the laboratory exits. The fires cause the sprinkler system to begin spraying water throughout the lab. A voice over the PA system interrupts the alarm. He stops. Through the smoke and flames you can see several figures dart past. Durges: --forget it. Forget it. I'll move on. I'll rebuild. I'll rebuild and start again, but since you like to destroy so much, have fun with the slaughter you've brought forth. I'm sure it's right up your alley. A voice in the alarm signal informs you that you have 10 minutes before the laboratory self ignites. You're also trapped with four of Durgess' incomplete experiments that survived the assault.Outside of the blast doors you can hear bodies slamming against the wall; the surviving servants of Durges piling atop one another, trying to get inside to avenge their fallen, when suddenly, the doors explode and your classmates are standing there with Ylonda. She gets you all out from the tunnels and brings you back to the classroom, informing you that Durges is a wanted criminal who has recently resurfaced. Head to the auditorium to meet with Armstrong as he addresses the school. The students at Point Bravo were in the thick of battle; mud-covered Nazi spirits rising from the ground all around them and attacking from every direction; all while Symms fired aimlessly at the voices he heard, still blinded from the sphere of darkness. 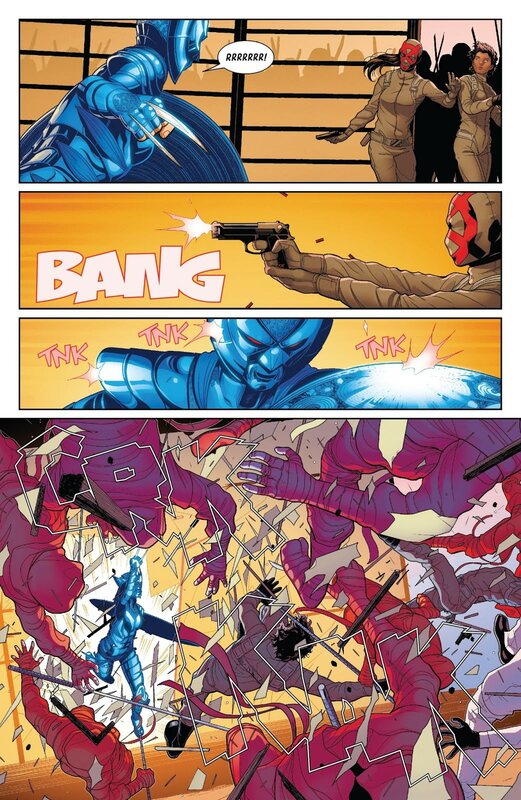 Each student took aim at various soldiers, breaking them into bits as they attacked, but the spirits kept on coming, wave after wave, preventing a unified assault against Captain Symms. Just as all seemed lost a large crackle of thunder erupted in the sky, a streak of lightning dashed through the clouds, and then, three figures fell from above. When they landed the Earth shook and the fighting, stopped for a brief moment. Ares: This war ends now! It was Ares, Rundar, and, of course, Mandy. Somehow they had managed to get inside the simulation. Mandy began unloading on the spirits, Rundar, charged them, slicing through them like butter, and Ares flew towards Symms, grabbing him by the neck and flying him high into the sky before throwing him downwards, creating a crater where he landed. The tide had turned, the soldiers began retreating, but the firearms class used this new advantage, led by Mandy, to prevent them from escaping. Ares then opened up a portal and instructed the class to retreat into it. As the students were escaping he shouted that someone had completed the mission; Hitler had been punched. On the other side of the battlefield stood Saga and Barda, the two students who managed to sneak through enemy lines and confronted Hitler and his guards. 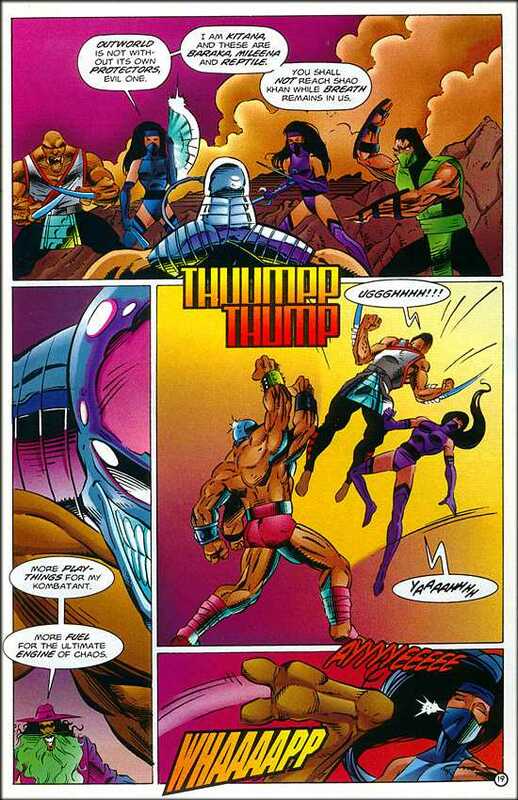 With Saga's stealth and skill, combined with Barda's raw strength and crowd control abilities, they were able to stall the guards long enough for Saga to land a single hit on Hitler, a rock solid punch straight to the nose. The hit sent him spiraling to the ground and he looked up at the students, blood gushing from his new wound. He smiled, before vanishing, his form turning into disintegrating pixels before their eyes. Before he disappeared completely Saga heard him utter a single threat. Hitler: Hope you've had a fun first day; I'll be stronger when next we meet. The voice wasn't his, but was the same one from before, the voice that had informed them the simulation had become real. 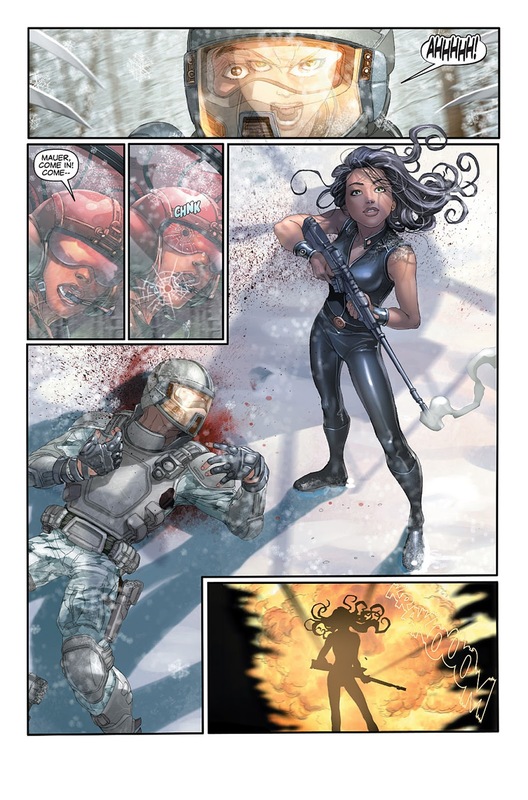 Before she could process what happened Ares appeared through a portal and pulled them into it. When they arrived back at the Armstrong Academy they could see that a war had raged here as well. Ares, Rundar and Mandy must've been fighting which prevented them from getting into the simulation earlier; but, when Saga had completed the mission, it overrode the control the hacker had on the simulation, allowing the teachers to intervene. No students were lost during the course of this mission, all thanks to their combined efforts and strong leadership of the students. Then, Ares instructs all of you to meet in the auditorium, as Armstrong will be addressing the entire school about the events that have occurred. Deciding to test his luck against the mysterious man, Arfunta opened up with a barrage of bullets; but, to his surprise, they all stopped short and erupted around an invisible field the man had generated. At that moment, Victor appeared, and opened a rift behind the man's mech, using one of his many devices. He grabbed a hold of Arfunta to prevent him from being pulled inside, all while Arfunta wondered how Victor had spotted him. Victor: Not today, Binary! Don't you DARE try and harm my students! Before he could finish the man was sucked into the rift and the rift closed. Then, using another of his many gadgets, Victor teleported through the convention, bringing Arfunta with him. He then appeared right above the Kilgrave students as Olivia was about to attack. He grabbed her and ported her and Arfunta back to the Academy, inside of the Engineering classroom. He then reappeared at the convention center to grab the rest of his students, Marco, Ikol, Solomon, tossing all of them back into the classroom. He returned once more and saw a brave young girl fighting one of his students, watching as Nyra, another one of his, opened fire on Max. He grabbed both the girl, Isabelle, and Max, and sent them to the classroom as well, leaving Nyra behind with her creation. Now alone at the convention, or so she thought. Nyra was approached by the Kilgrave students, who, offered her a device with a note attached to it -- Tap into your potential; unleash your power; come to Kilgrave -- before they vanished, pressing a large red button on similar devices. Meanwhile; at the Academy; Victor explained to the students how this is a large scale attack by the Kilgrave Institute that had been years in the making, and was only made possible due to a mole among the faculty. 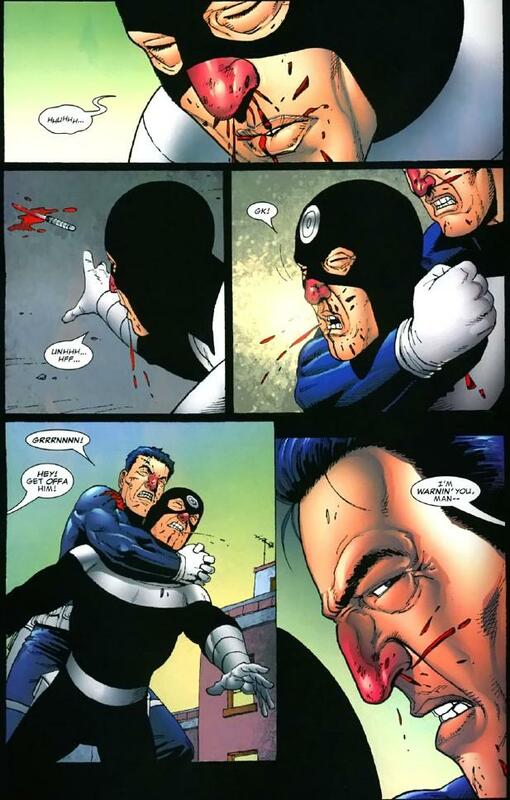 He expresses his condolences for Sting, who, passed in the attack, taken out by one of the Kilgrave students. Afterwards, Victor informs you that you'll all be meeting in the auditorium, as Armstrong would like to address the entire school. In the mines, Fluffy and Keimusho are able to dispatch of the guards quite easily. They free the miners being held captive and interrogate the guard leader who informs them that a man named Durges was trying to breach an underground temple that had been buried thousands of years earlier, claiming that a certain power of creation lay within. It is this power that Keimusho sensed through the earth; it radiates an immense amount of negative energy. Before the two could progress further more miners arrived on the scene, informing them that chaos had broken out on land in the temple. 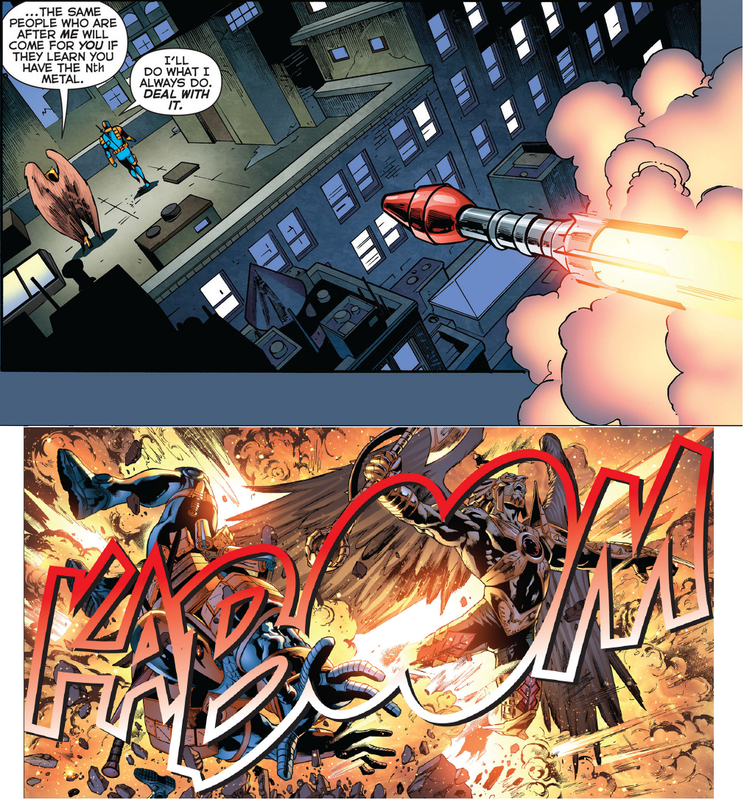 When the duo arrived they found Alathur combating a large, spider-like creature that had emerged from inside the barrel. 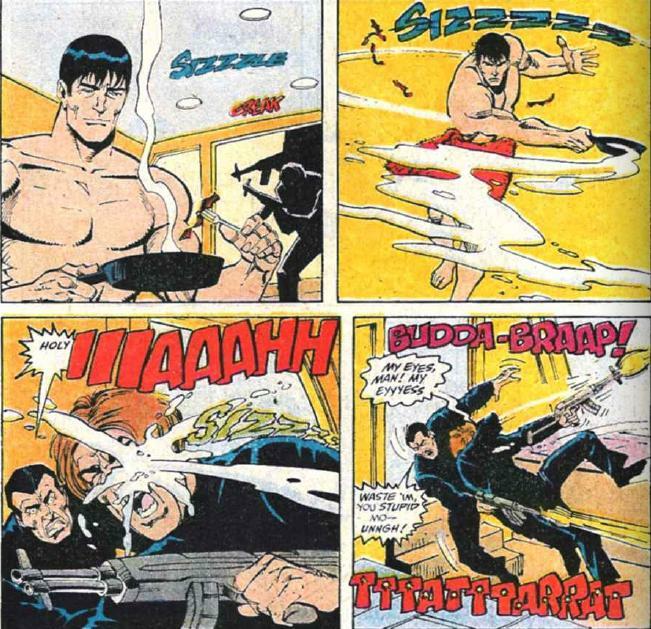 The trio worked together to fight it before being interrupted by AJ and Kennedy who had managed to locate the group. Barney was following him, a bit tipsy from Dwarven brews, and generally unaware of what was happening. Kennedy explained at once that the group had to get out from there as soon as possible, as the time-line had been altered by outside forces. She grabbed hold of her students and began transporting them back, and so they vanished, right before the eyes of the dwarves, who, were left to an unknown fate due to the shifting timeline. When you arrived back at the Academy Kennedy informed you that her systems had been sabotaged before transport and it had knocked her out shortly after their arrival in the past. 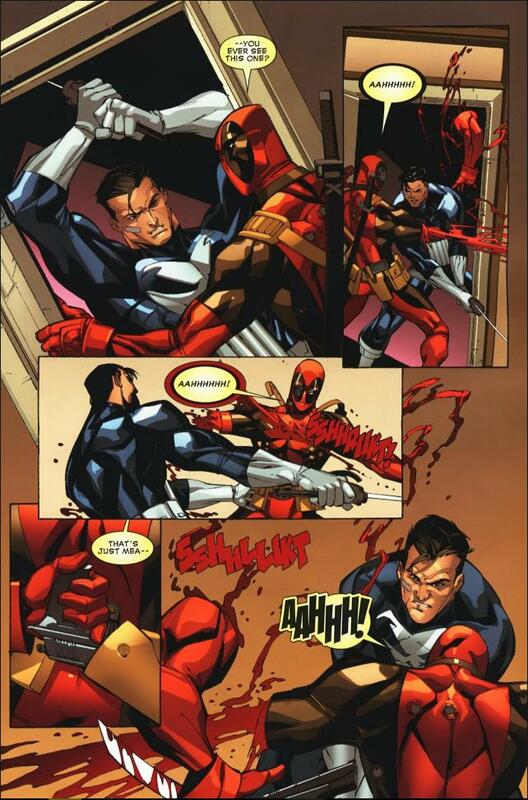 Bardock attacked AJ who was able to fend him off, while the rest of you had gone into the dwarven city. For now, she would like you all to join her in the auditorium where Armstrong will be talking about the events that occurred. Amane and Nora freed the prisoners, one of them claims to be the son of Lancelot, a boy named Lionel, he explains why they were captive. Lionel: Morgan LeFay took Arthur's sword and sapped all of his power from him by giving him a cursed sword; however, Arthur had assumed an attack would happen and hid his real sword elsewhere, nobody knows where it is, except each of his knights were given a single clue. My father has been missing ever since then and Morgan thought I might know his clue. She capture the families of the knights to try and interrogate them, using her dark magic to torment us. Suddenly, before your eyes, Merlin appears, with AJ and Nathaniel at his side. His explains that AJ and Nathan found him and explained that you had gone missing and so he used his magic to eventually locate you, ashamed he couldn't do so sooner, claiming that Morgan's influence on Earth (3) has reduced the effectiveness of his spells. Then, in the other room, you hear a brawl begin, as Jokul and June attacked the other captors who were responsible for this. Merlin leads you all into the room and you see a magical battle beginning between the lot; however, they're no match for Merlin, even in his weakned state, and he protects each of you, casting a spell to send you back to Armstrong Academy. When you arrive you feel as if some of Merlin's powers have been absorbed into you, also, Lionel is with you. The other group, Jack, Melvin and Aurora, discover that the brewery was being used by the servants of Morgan le Faye as a home base to torture people. You were brought to the same location that the others had been held captive in. Merlin finds you all as well and brings you back before you can begin an attack on the men inside, when you arrive, you also feel as if some of Merlin's powers have inhabited you. Melvin's investigation informed you that the servants of Morgan have been given pieces of her magic and that they are working for her to try and locate Arthur's true sword, which he has hidden. Tyger and Hew are two of Morgan's servants and they were inside the facility; however, if Merlin hadn't interfered, they likely would've killed you, despite your numbers advantage. Now he would like you all to meet in the auditorium where Armstrong will be addressing the class. The group heads to the Ocularium while those who attacked the Nurse try fending her off. After searching through various artifacts Brandon's ring reacts with one of them, and suddenly, a bright shining light emits from the object, an orb of sorts. Brandon grabs it and runs through the halls where they encounter Arthur and Moose; who'd teamed up to search the school. The group then makes their way back to where Trevor and Jim were fighting the Nurse; who has been effectively held off. Brandon uses the object with his ring and light begins to cover everything in sight, transporting the group back to the normal Armstrong Academy, right in the auditorium actually, where you're surprised to find all of the other students grouped up for a meeting, with Armstrong standing at a podium. K'Graak moves towards you and instructs you all to take your seats but you all feel stronger from the experience. The scenario will be on hold for the next 1 - 2 weeks (hopefully) so I can rework the mission structure, fix some narrative issues, and begin anew, essentially this is a soft-reset. I'll take Batman's H2H skills. There she was, the firearms instructor, joyfully chatting with another instructor, as if she hadn't just emerged from a warzone. She was distant, aloof, like a little bird sitting on a powerline. A tiny, delicate bird who could kill him with the twitch of her finger. Jack shuddered and smiled at the same time. He couldn't help but run it over and over in his mind, like the tumbling of a river stone. It was amazing, remarkable how she had been in battle. His eyes could scarcely follow her movements, yet they remained smooth, almost hypnotic. It's likely a good thing they had shown up, the teachers that is. The odds were against his team and despite their tenacity, it was likely lives could have been lost. He smiled, banishing such thoughts from his mind, nudging the student to his right gently with his elbow "I could sure go for a drink right now, how about you?" Anyways, what level is the firebending? The scenario needs a rework, the narrative structure isn't working with the class structure. Having several of you deviate from the main objective and having 2/3 different main plot-lines in each of the classes while having all of you wrap up at the same time doesn't work. Because of this the scenario is going on hold until I can re work it. Your character will be here waiting for you should you choose to return to them once I've finished reworking everything. The reward system will be changing as well. SO - for now, you can still RP with one another. You're free to roam your dorms, talk to one another, etc., but, there will be no missions or quests or anything into that can get fixed. You'll get rewards when the school re-opens that fits your progress thus far. My sincere apologies for this; I'd rather fix the scenario now and have it last than cancel it because it didn't work. “Oh, you know...the uthual.” He spoke with a slight lisp from his mangled tongue. “Killed thome Nathi’s, almotht bit my own tongue off…” He pointed his right index finger to his temple and made small concentric circles mocking himself while continuing to twirl the gun with his left. “Thomeone even got to punch Hitler in the fathe” He smirked, realizing just how ridiculous he sounded. 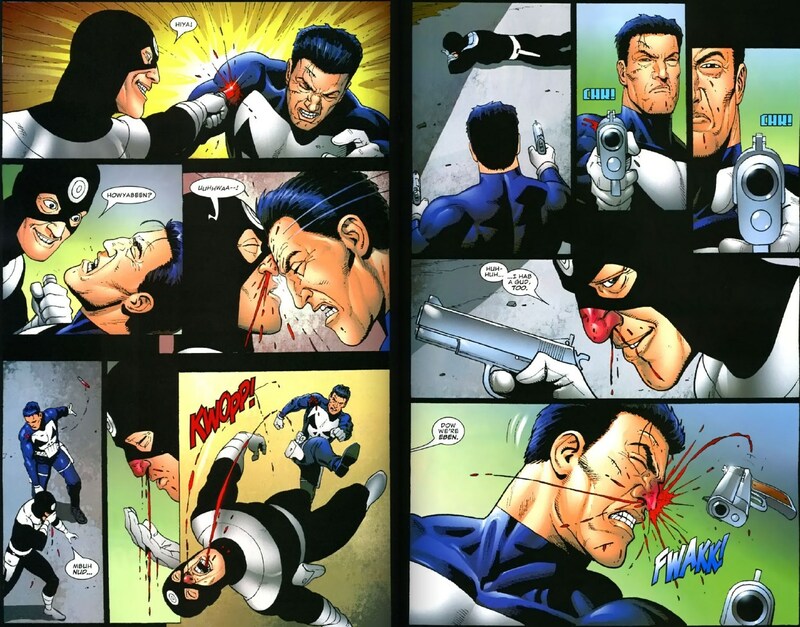 “Goddamnit….it theemed like a good idea at the time.” He spun his gun deftly back into its holster with his left hand. “ The thit I do to win." Jack stepped into the auditorium, grumbling to himself, as Melvin and Aurora trailed in behind him. All around him, he could hear the other students conversing to each other, exchanging stories of the exciting fights and adventures they had over their respective field trips. Jack turned to his new minions companions (@floopay, @lan_fan). "Am I the only one who didn't get into a single fight, this entire assignment?" He asked, in an exasperated tone. Before they could respond, he spotted his sister (@red_ruby_petal) entering the auditorium. "Hey, over here!" He called. "Jane, this is Melvin and Aurara. Aurora and Melvin, this is my sister, Jane." He said, introducing them to each other. "So, Jane. How was your class, anything interesting happen?" Jane: nothing much interesting, all the more the same. Absolutely nothing you've missed out. @thetruebarryallen: The alarms, the banging of the doors, the sounds of fire and the surviving experiments. It was exhilarating, the adrenaline in Badass' blood started to pump as he waited in anticipation. But then suddenly the doors explode and he is "saved". and brought back to the classroom. Badass then walks to the auditorium and finds the loneliest seat for him to brood. Addie succumbs to the violation of herself. She finds within herself to grip the little bit of “her” that was still alive and in the vessel of conjoined beings, and she uses that to kill herself. Addie is no longer a student. @thetruebarryallen: "Well, that was a bit anti-climatic. Wish I could go back ther . . . wait". Fluffy then tries to sneak out of the school while shrank and to find the entrance to the city at the surface. You arrive at where you remember the entrance being and see a greenhouse has been built atop it. The Chemistry class comes out from inside; them seem shook up. @thetruebarryallen: "Maybe I should ask what happened . . . nah". While still shrank, he divebombs into the tunnel again. You navigate the tunnel and come upon the ruins of the city you once knew. Searching the buildings you find nothing but rubble; it's been a long long time since anyone has lived here. The temple, the one in which you were hailed a savior, is freshly destroyed; a fire burns and you see disfigured bodies on the temple steps. They are the same size of the beings you met during your travels in the past; but their figures have changed; the results of genetic experimentation and dark magic. I eye her (@red_ruby_petal) suspiciously... "Really, nothing interesting happened? You wouldn't happen to be lying, now would you?" Melvin shook hands with Jack's sister, and reintroduced himself. Melvin: I need to get back to my room to recharge pretty soon; but I am going to post some flyers around for anyone who wants to train and study with me while I recharge. I can talk in my room while I recharge, and I was hoping you would all join me. My study methods are....more efficient than others. Some might even say more fun. Melvin quick wandered to the computer lab, looking to make a few dozen flyers quick with their printer. Nothing special or with borders; whoever wanted to join him was free to, whoever didn't; didn't have to. Melvin wandered back to his dorm after placing some flyers around the cafeteria, computer lab, male/female dorms, and in the hallways on any bulletin boards he found along the way, and relaying his study session vocally to anyone who seemed interested along the way. "That was much easier than I expected. Are you alright, Barda?" Saga rushed over to her to talk. Later after ascertaining that Barda was fine and them being gathered in the auditorium, Saga began to rattle off a list of questions to her new teacher, Ares, including "what happened exactly", "Who was that person who talked to us? ", "How did they turn the simulation real? ", "Did anyone die",etc. Without the exhilaration of a fight, she began to feel incredibly tired, but she also really wanted her questions answered. 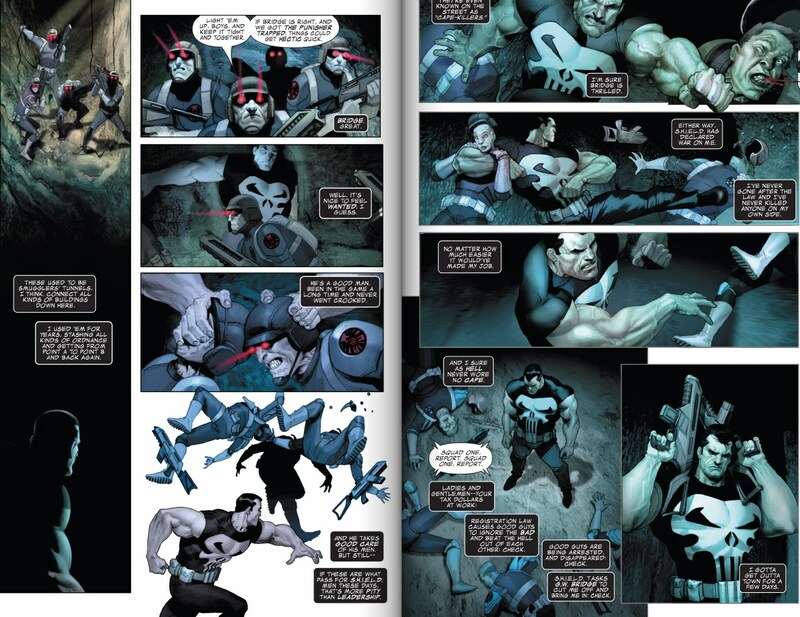 Saga asked Ares a bunch of questions about the situation, how it happened, and the aftermath.